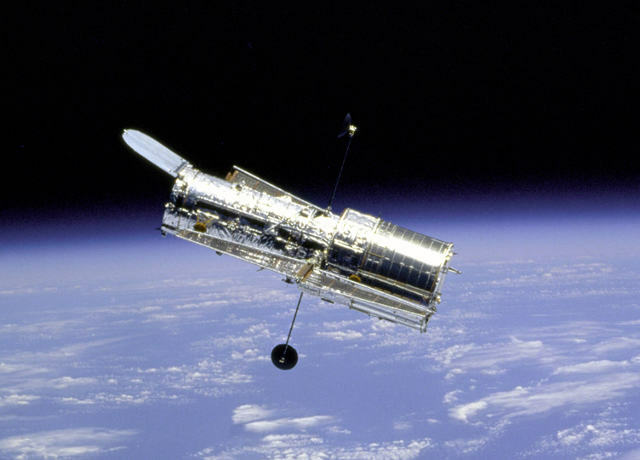 The Hubble Space Telescope has captured some astonishing views of the universe. 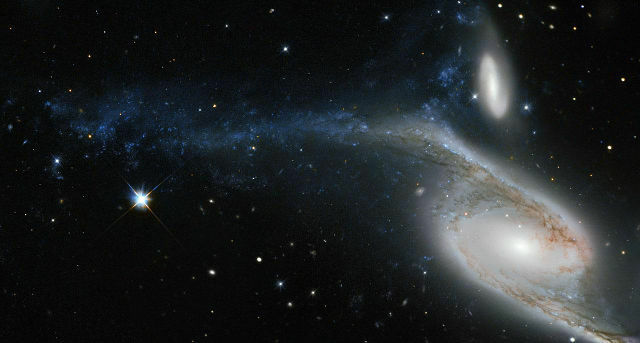 This picture taken by its Wide Field Planetary Camera 2 is no slouch either, capturing a couple of galaxies in one shot. The main feature is the spiral galaxy NGC 6872 located about 300 million light-years away in the constellation of Pavo (The Peacock). NGC 6872 is the second largest spiral galaxy discovered to date by humans. It spans over 500,000 light-years across, compared to the Milky way which is approximately 120,000 light years from end to end. This picture also captures the galaxy IC 4970 which can be seen causing a disruption in NGC 6872’s upper left spiral arm, as it transits through the larger spiral galaxy, helping it create new stars. This NASA video provides a nice slideshow of ultraviolet and infrared images of auroras at Saturn’s north and south poles. The images were taken by the Cassini spacecraft which is exploring the Saturn system (Cassini is currently on the Solstice mission) and the Hubble Space Telescope. Saturn has long fascinated humans with many historic and religious references – a topic to be explored further in the future.